Allowing you to totally immerse yourself in this Himalayan kingdom during this 11 Day Uma tour This 11 day 10 night itinerary is the longest we offer in Bhutan, the extended stay allowing you to totally immerse yourself in this Himalayan kingdom. From the gravity-defying Tiger’s Nest monastery to the Temple of the Divine Madman, this comprehensive itinerary combines spectacular drives, unique nature walks and fascinating cultural visits. There are also opportunities for adventure with the option to include thrilling bike descents, white-water rafting and hiking. 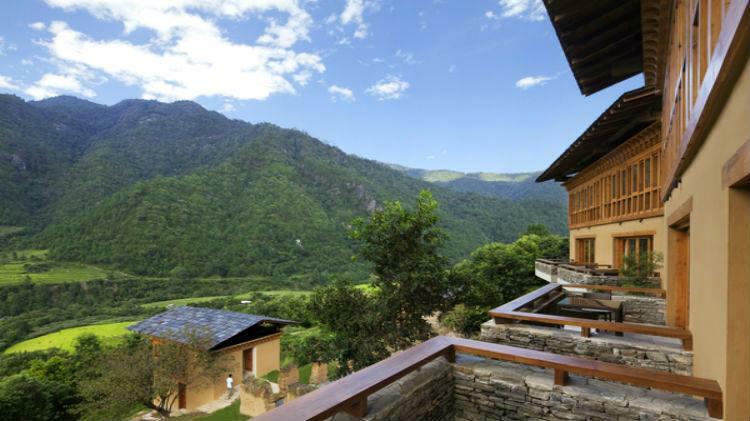 With six nights at Uma by COMO, Paro, and four at our sister lodge, Uma by COMO, Punakha, the trip combines the best of both locations. We journey deep into the Kingdom’s heartland, exploring the bustling capital of Thimphu in a valley dotted with monuments, museums and markets. We visit the almost tropical Punakha valley with its magnificent dzongs, and the emerald valley of Paro with its rice paddies and ancient temples. 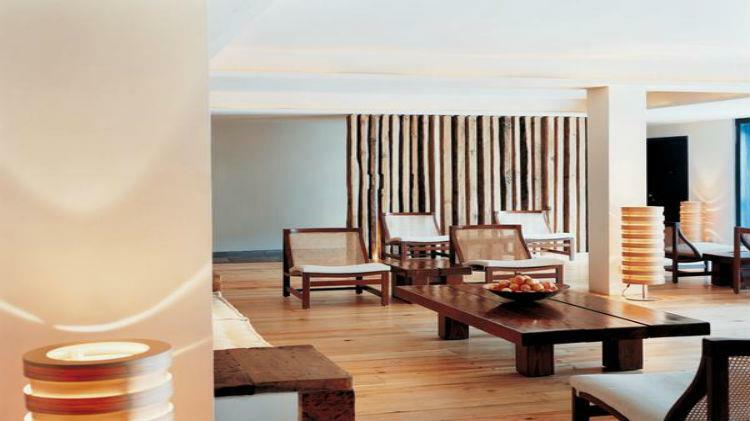 Throughout our adventure we return nightly to the simple luxury and comfort of our Uma lodges. 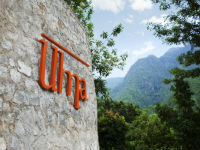 Uma Paro staff will welcome you at the airport for the 10 minute transfer to the property. Once you have settled in your first foray into the Kingdom begins with sightseeing in Paro town and a visit to a local temple. This afternoon provides an opportunity to acclimatize to the rarefied air at this altitude and to get to know your guide, who will offer some additional sightseeing options for the rest of the day depending on your interests and energy levels. The capital Thimphu itself sprawls up the wooded western hillside of the Wang Chhu and is the centre of government, religion and commerce. You may wish to shop or dive to the town viewpoint at the Big Buddha statue. If time permitting to visit Thimphu, the sightseeing begin with a tour including some of the following (exact itineraries dependent on opening times and interests): National Memorial Chorten, Trashi Chhoe Dzong, the weekend market (Main market days are Friday, Saturday ad Sunday), and Folk Heritage Museum. This drive is truly awe-inspiring as it zigzags up to the 3,140 m-high mountain pass of Dochu La with its forests of fluttering prayer flags, maze of memorial chortens and, on a clear day, sweeping views of the main Himalayan range. Up river, deep in the verdant terraced hills past Punakha Dzong is our home for the next two nights, Uma Punakha. We have a full day for further exploration of the scenic Punakha Valley, which at 1,200 m is low enough to allow bananas and oranges to grow. This morning we walk up through whitewashed homesteads and farmland to Khamsum Yuley Namgay Chorten, a shrine recently built by the royal family (the chorten can be clearly spotted from our breakfast table). This ornate and elaborate structure has a rainbow of Guru Rinpoche images and superb views. Heading down along the riverside the massive architectural edifice of the 17th-century Punakha Dzong soon looms into views. The fortress-monastery was built in 1637 by Shabdung Nawang Namgyal in a commanding position at the confluence of the Po Chhu and Mo Chhu (Father and Monther rivers). It once served as the seat of the Kingdom's government and is now the winter home of Je Khempo, the head abbot of Bhutan, along with a retinue of 1,000 monks. In the afternoon a short walk across rice paddies takes us to Chimmi Lhakhang, a fertility temple dedicated to Drukpa Kuenley, a Tibetan Buddhist saint known popularly as the Divine Madman. The temple sits atop a picturesque hill surrounded by rice fields. Drukpa Kuenley built a chorten on the site in the 14th century, and it has long been a pilgrimage site for couples hoping to start a family. The large building we see to the north of Uma Punakha is called Botakha Palace. It was built during 1950's by the late Third King as his residence but when the Capital of Bhutan was shifted to Thimphu it fell empty. The palace gardens are fully of mature fruit trees and the local farmers still pay homage to a huge mythical serpent by offering some of each rice harvest in the posthole of a huge prayer flag. Our morning walk crosses the river at a suspension bridge downstream from "snake bend" and contours through lush farmland and homesteads up to Bale Lhakhang, a tiny local temple with sweeping views down the valley past Uma Punakha. In the afternoon, visit Talo Village where the site was founded by Chogtrul Jigme Singye (1742-89), the 4th reincarnation of Lama Tripa (Galsey Tenzin Rabgye), which literally means the holder of the throne, a title given to Gyalsay Tenzin Rabgye (1638-96)as the Gyaltsap (regent_ appointed by Zhabdrung Ngawang Namgyel. This took place in 1767 corresponding to the 13th Rabjung (name of the cycle of 60 years starting with rabbit year) of the Fire Pig Year of the Bhutanese calender. In the 14th Rabjung, Jigme Dakpa (1791-1830), the third mind reincarnation of Zhabdrung Ngawang Namgyel, renovated the area and built a monastery. He also installed in the temple statues that he had brought from Sanye in Tibet. Thereafter, the monastery was renovated by several reincarnation of Zhabdrung Ngawang Namgyel including Zhabdrung Jigme Norbu, the fourth mind incarnation, Zhabdrung Jigme Chogyal, the fifth mind incarnation and Zhabdrung Jigme Dorji, the sixth mind incarnation. The monastery also served as their living quarters. Currently the monastery accommodates the Gonkhang (inner chapel dedicated to guardian deity) and residence of the abbot. Talo Sanga Choling also houses many lhakhangs, in which Neten Chudrug (sixteen Arhats) lhakhang is one of them. Please note Talo Village will be closed during events such as visit by a member of the Royal Family or auspicious ceremonies. 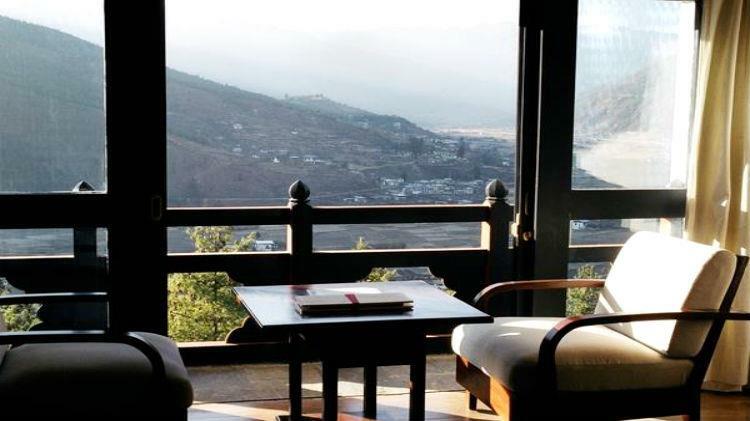 Relax around Uma Punakha, perhaps trying the other riverside bird watching walk, or maybe a wellness therapy such as a traditional Bhutanese Hot Stone Bath. Optional white water rafting "Mo Chhu - The Temple Stretch" (Runs year round, raft up to 45-minutes but shorter during monsoon season July-August) The temple Stretch is another great introduction to rafting, the trip is the most leisurely with the rapid running up to grade ll with long calm sections. Start your day by taking an hour or so hiking up to the temple at Nyezenggong and then floating down the scenic Mo Chhu past the Punakha Dzong. Time to retrace our steps over the Dochu La for a second view of the wonderful Himalayan range. Returning to the Chuzum (river confluence) we catch a glimpse of the three shrines in Nepali, Tibetan and Bhutanese style which were built to ward of evil spirits near the checkpoint. Time permitting the journey can be broken with a visit to Tamchhu Lhakhang built by Thangtong Gyalpo, the so-called Iron Bridge Builder. This former saint from the 14th century introduced the art of building suspension bridges with iron chains and the only way to reach his temple is by one of these bridges. On the final leg the road snakes alongside the Pa Chhu river, through apple orchards and rice paddies, past quaint homesteads to our home in the mountains, Uma Paro. After check-in and a show round, we invite you to spend the rest of the day relaxing around the property, enjoying the facilities or trying an activity like the Bhutanese national sport of archery or a traditional Bhutanese Hot Stone Bath. We wind through pine forests high above Uma Paro to the pretty grounds of the fortress-like monastery of Zurig Dzong. We cross to Ta Dzong, home of Bhutan's National Museum with magnificent views over Paro and down to Rinpung Dzong (Fortress on a Heap of Jewels). The trail then leads across Paro Chhu (river) via the traditional covered bridge, Nyamai Zam, and then past the main archery ground, Ugyen Pelri Palace, and into Paro town. We drive a few kilometres north of Paro, and pay our respects at Kyichu Lhakhang; one of the oldest temples in Bhutan with its magical orange tree that bears fruit all year round. Time permitting, we drive further up the valley to Drukgyel Dzong, built in 1648 by Zhbdrung Ngawang Namgyal to control the northern route to Tibet. We start early for the drive to Chele La Pass which, at 3,988 m is the highest road pass in Bhutan, snaking upwards through blue pine and rhododendron forests for 35 km. On a clear day the view sweeps away to the snow-dome of Bhutan's second highest peak, Mt Jhomolhari (7,314 m), and down to the Haa Valley, which only opened to foreigners in 2002 due to its proximity to the border with Sikkim and Tibet. This unspoilt valley harks back to a simpler, more traditional time. Striding out along the Edelweiss-covered ridge, we pass a sky burial site. Descending for the two-hour hike through dense rhodendron forest, possibly sighting shaggy yaks, to Kila Goemba, an ancient nunnery nestled in a craggy patch on the mountainside below. Kila Goemba is a serene retreat for 32 Anim (buddhist nuns) who lead an undisturbed life of religious studies, prayer and meditation. The nunnery is one of the seven oldest nunneries in the Kingdom. Dupthob Chhoeje Norbu and Dupthob Temba established it in the early ninth century as a place of meditation. After being destroyed by fire the Lhakhang was reconstructed by the 25th Je Khenpo, Sherab Gyaltsen and in 1986, the Government officially established Kola Goemba (monastery) as an Anim Dratshang (nunnery). This sacred place has a timeless quality which is ample reward after the effort of the hike. Having made our offerings and perhaps been blessed, it is time to descent further. An hour later and we are back at the road where we can saddle up on a mountain bike free-wheeling down to Paro Valley. For those who would rather leisurely sightseeing day there is the option to drive from Chele La Pass down the other side to the Haa Valley. In case Chele La Pass is not accessible during the winter, your guide will propose an alternative for this day excursion. After a short drive from Uma Paro we set off on our 90-minute easy acclimatisation walk to Drakhapo Monastery, which has a small community of monks living nearby. The main temple room is precariously perched on the edge of a rock cliff and there are some sacred sites to view, including the body-imprint of Vajrayogini or a stone boot belonging to Guru Rinpoche. The monastery is built on a mountain dotted with underground caves. Nearby, one of these caves has a small ladder for the not-so-faint-hearted, leading into a large cavern that soon turns into a very narrow crevasse. In the afternoon, we may try Bhutan's two most popular sports on Uma Paro's own archery ground (Bha Cho). Archery is the national sport of Bhutan, and every village has it own archery range. High-spirited competitions, usually accompanied by a banquet, are a part of all festive occasions. Using bamboo bows, teams of archers shoot at targets only 30 centimetres in diameter from a distance of 140 metres. Each team has a noisy crowd of supporters. Kuru is another very popular traditional Bhutanese game played in most villages. One of the most amazing and important pieces of architecture in Bhutan is Takstang Goemba, or Tiger's Nest Monastery. Legend has it that this cliff side was where Guru Rinpoche (padmasambhava) landed on the back of a flying tigress bring Buddhism to Bhutan from Tibet. We make an early start to avoid the hot sun during the two hour climb to the Tiger's Nest viewpoint. Descending steeply, we then climb up to the monastery, passing a waterfall and entering through the main gates which are decorated with murals. We retrace our steps or if time and energy levels allow, head further up to several remote temples and monasteries. 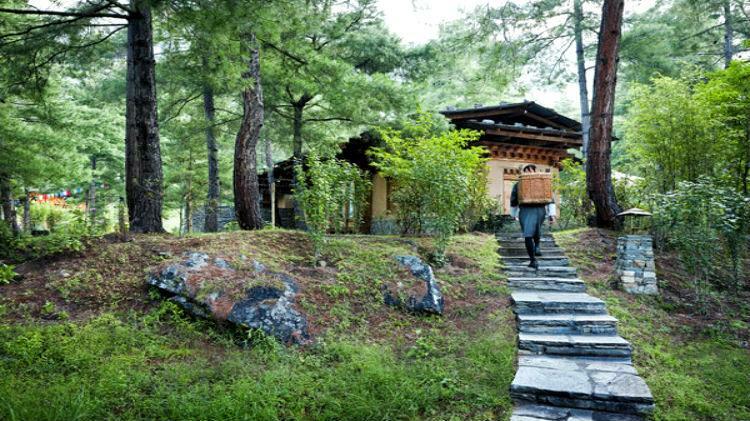 Returning to Uma Paro in the afternoon there's time to relax and enjoy the facilities including the steam rooms, swimming pool or a Bhutanese Hot Stone Bath. We bid fond farewell to this beautiful Himalayan country and take an early flight back to Singapore. We hope by now you would have made some friends and also kept many photos and beautiful memories of Bhutan! And we look forward to seeing you again in this beautiful land of endless Enchantments! Tashi Delek! I apologise for having not replied to your e-mail before! My trip to Bhutan was great! The country is just fantastic and both, the guide and the driver, were really excellent. In fact, I was really touched by their constant good will in turning this trip as comfortable and interesting and possible and in no single moment have they given me any reason to complain about. I am really grateful for their kindness and interest. On what is related to the country, Bhutan provided me much more than I was expecting, not only in terms of its beauty, but especially on what is related to the fantastic monasteries and temples that can be found in every corner of this small territory.